Our team has succeeded in understanding the needs of the industry and provide reliable products and solutions to pilots just like you. Situated on the flight line at KRBL with a gorgeous view of snow capped Mt Shasta, Beaver Avionics provides unparalleled service with the goal of providing it's customers with the most complete Avionics suites the industry has to offer. 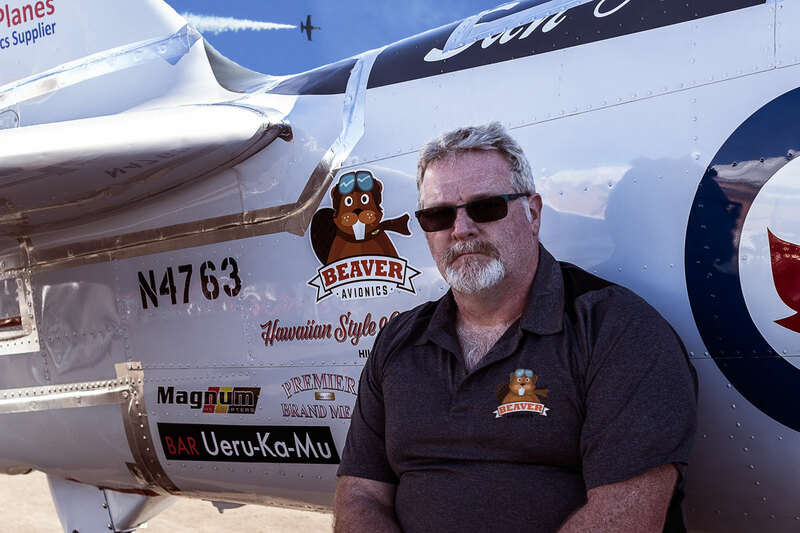 Established in February of 2018 by Michael and Kerri Beaver, Beaver Avionics came out of the gate firing on all cylinders. Due to his well established reputation in the industry, Shop Manager Josh Trimeloni, secured seven top product lines immediately establishing Beaver Avionics as a fully capable avionics shop. In a matter of six months Beaver Avionics already cemented their place in the aviation industry with over 90 completed projects. We hope that you will choose Beaver Avionics for all your Avionics needs. Quality and attention to detail come first! We make sure that no detail is overlooked from your avionics install to the completion of your aircraft's paperwork. Our focus is 100% on client needs and satisfaction. We are constantly coming up with new and innovative ways to tackle age old problems. In fact it's one of the things we love about this work, it's also one of the most challenging. Sometimes a problem will require some amount of alteration, depending on how flight critical and/or structural the component to be modified is. Therefore quite a lot of consideration and research has to be done beforehand. Every step is taken to ensure the work is completed correctly, signed off, logs updated and all paperwork filed with the FAA when applicable. We pride ourselves in the thorough approach we take and our team has a ton of experience doing things by the book and that is something that can really set a shop apart. One thing we learn through FAA training is the importance of communication between team members and it being one of the most common challenges to mitigate. We have a small shop with a small team so we work very close with one another and communication is extremely easy to manage. We believe a strong team is the key to our success so we handpicked our technicians. We are just as much friends as we are co-workers and our relationships pre-date Beaver Avionics. Friendship and a sense of family are at the core of our business creating an environment where openness, honesty, accountability and responsibility are effortless. When your aircraft is under our roof you will have the piece of mind knowing the technicians present when you drop your plane off will be the same ones completing the work. We are the technicians you can trust for the perfect solution to your avionics needs.